Heart and Home Collaborative, a nonprofit organization established by Stanford students, opened its first women’s shelter Sunday night. Currently hosted at Peninsula Bible Church and University Lutheran Church, the shelter will be hosting up to 15 homeless women in Palo Alto. The women who are staying at the shelter were chosen through a lottery system and can be accommodated up until April, according to Baljinnyam Dashdorj ‘12, volunteer coordinator. The shelter is seasonal, he explained, because the non-profit doesn’t have the funds or space to be a yearlong shelter yet. 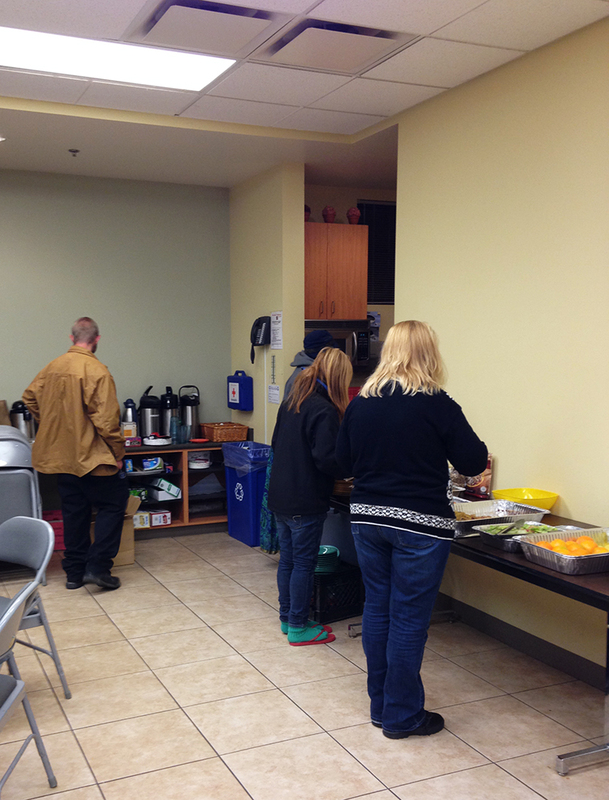 The student organizers chose to host the shelter during winter due to cold temperatures. According to a survey that Heart and Home had conducted last year, at the time, there were about 150 homeless people in Palo Alto and only 12 of them had adequate shelter. “If we only had the resources, we’d love to open something for everybody year-round. But as of the moment, our funding only allows us to be open seasonally,” Dashdorj said. Although this is the first year that Heart and Home as an organization is opening a shelter, the students who founded the nonprofit were volunteers at a previous shelter called Hotel de Zink: Women’s Shelter, which was open from Jan. 15 to April 15, 2012. Similarly, Hotel de Zink: Women’s Shelter was hosted in community churches and offered shelter, case management and storage for 15 homeless women. The shelter formed as a partnership between student volunteers and InnVision Shelter Network, a community organization that provides shelter services throughout the Bay Area. After the shelter’s initial run, the student volunteers of Hotel de Zink: Women’s Shelter decided that they wanted more flexibility to explore their own mission apart from InnVision, according to Aparna Ananthasubramaniam ‘13 M.S. ‘14, staff director and resources coordinator for the new student nonprofit. The students wanted to focus the shelter on serving the needs of the women they hosted more than any other purpose. “[Our] main principle is that we’re client centered. The people who use our services are the experts,” said Trey Deitch ‘15, resident advocate and outreach coordinator. Given this mission, the students needed independence from the University as well. The former Hotel de Zink: Women’s Shelter volunteers have spent the past couple of years laying the groundwork for their own registered, independent nonprofit, deciding that they would be able to better serve the community that way. This organization would eventually be known as Heart and Home Collaborative. The volunteers admitted the transition from student group to nonprofit was not an easy one. “It was difficult in terms of paperwork—we had to buy insurance, follow California’s applicable laws and stuff, to operate as a nonprofit,” said Ananthasubramaniam, who was involved with much of the process. She also acknowledged that she learned a lot from her past experience working with InnVision. “Working with a nonprofit that has been doing this for so many decades was really valuable for us in terms of how a shelter operates on a day-to-day basis,” she said. Part of the process of becoming a nonprofit was obtaining the funding to hire staff and for insurance. According to Dashdorj, most of the organization’s funding comes from personal donations, small fundraisers and a few grants from companies such as ZipCar, which had provided them $5,000 in transportation to help transit volunteers or women. On Sunday night, when the shelter officially debuted, many volunteers returned to celebrate the opening. Heart and Home Collaborative plans to hold more information sessions to attract more student volunteers and to work with other on-campus organizations. According to Dashdorj, Heart and Home Collaborative was able to establish a partnership with Residential and Dining Enterprises for food and silverware donations for the shelter. Additionally, the volunteers are working on collaboration with Chi Omega and are planning to hold a fundraising event with them in the near future. Contact Clarisse Peralta at peralta4 ‘at’ stanford ‘dot’ edu.